We are glad to present two new hotel options for travellers with a smaller budget. One hotel is located in San Pedro de Atacama, while the other one lies right in Santiago’s city centre. The Quechua Hotel can be found in a quiet area of San Pedro de Atacama with a big garden and shady trees, while still within walking distance of the city centre, shops, and restaurants. Hammocks invite guests to linger after their excursions. Built from natural materials and wood, this simple hotel offers a warm and cosy atmosphere in perfect harmony with the surrounding landscape. It has a spacious dining area with large panoramic windows. The Hostal Rio Amazonas offers a homely and quiet ambiance right in Santiago’s Plaza Italia, and is a great starting point for visits to the city’s greatest attractions: the artists’ quarter of Bellavista, the Barrio Italia design district in Providencia, the gastronomic and cultural highlight of Barrio Lastarria, and of course the historic city centre around Plaza de Armas are all within walking distance from the hotel. The rooms are distributed over 3 floors in this colourful old building. Guests are offered homemade delicacies for breakfast. 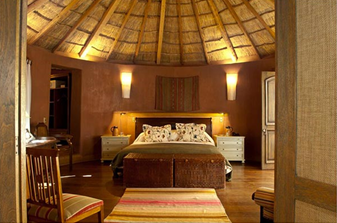 There are also news in the upscale section: The Hotel Awasi in San Pedro de Atacama has two new suites available. Both suites are 70 m2 and come with a huge bathtub and private terrace. They can be booked either with King or Twin beds. In total the Hotel Awasi now offers 10 suites to its guests. If you would like to book one of these hotels for your clients, please contact your travelArt sales partner.